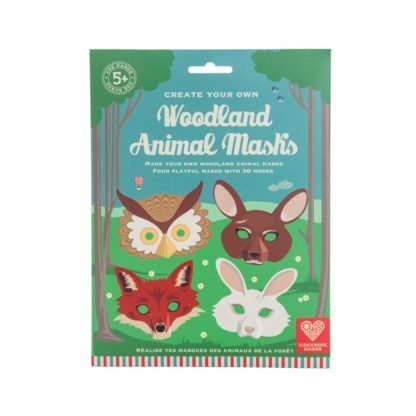 Take yourself back to your wild side with these fun Woodland Animal Masks. The pack includes four masks – a fox, an owl, a rabbit and a deer – all you have to do is to make them. 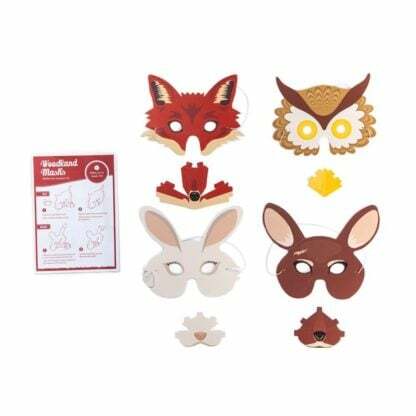 By simply slotting together the main face piece with the 3D nose and joining on the elastic, your children can be transformed. There is an activity sheet and really clear instructions and you are ready to go. We loved the quality of the illustration and the simple and effective designs. This is a great one for a party activity or one for friends to sit and do together before inventing their own games once they are wearing them.